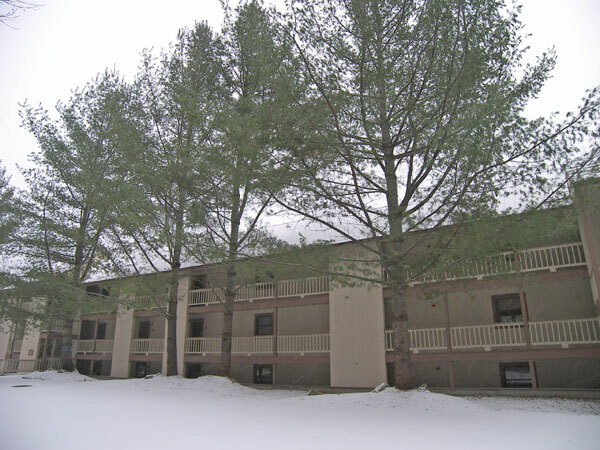 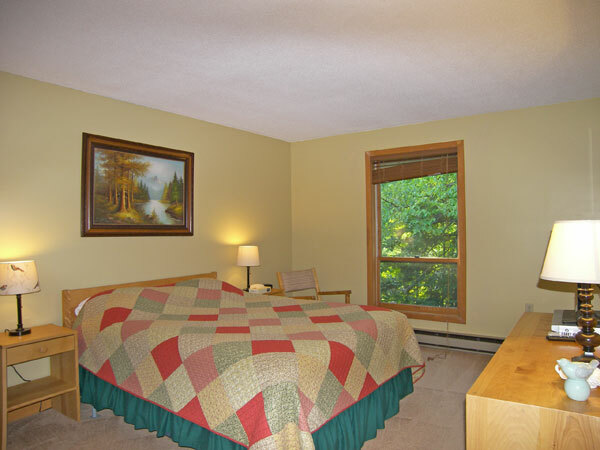 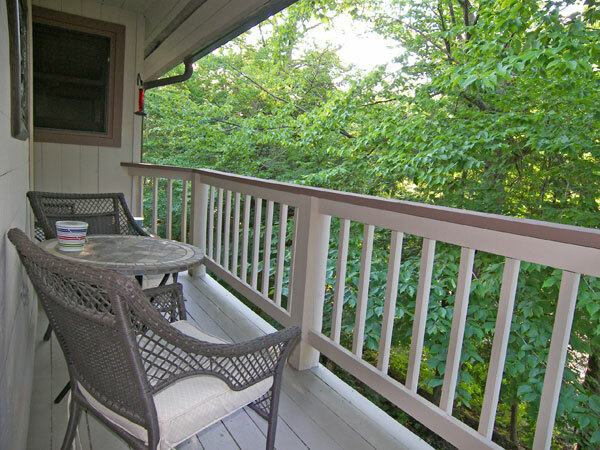 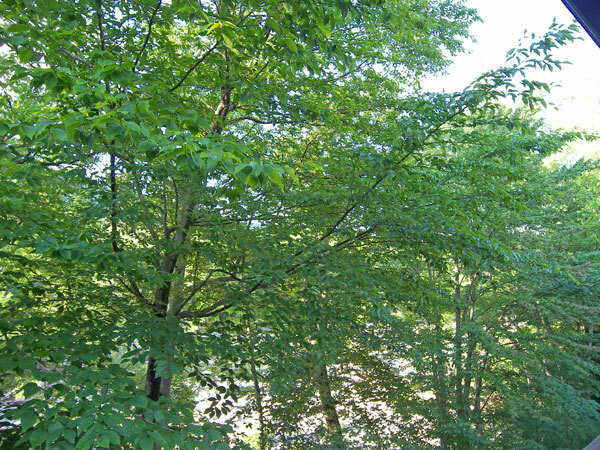 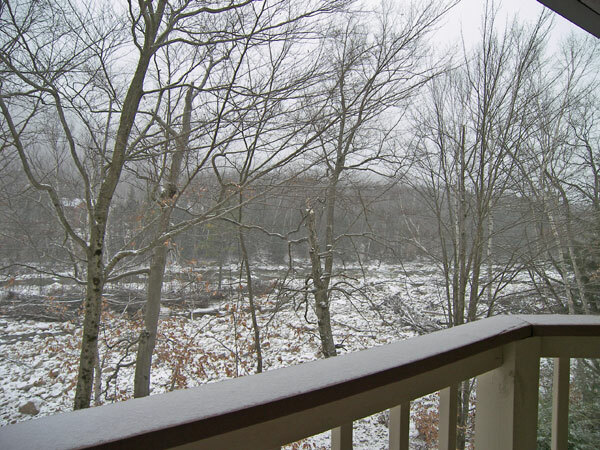 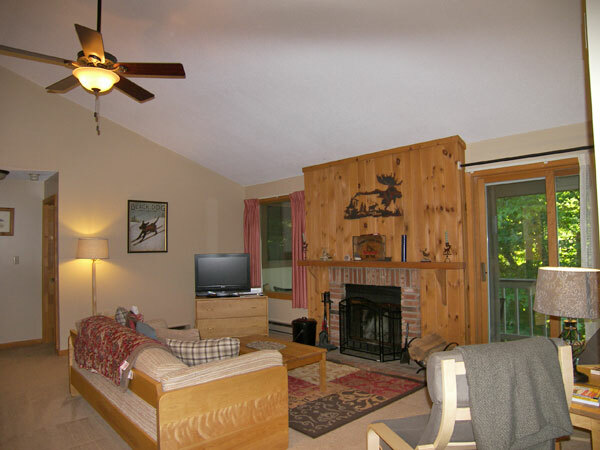 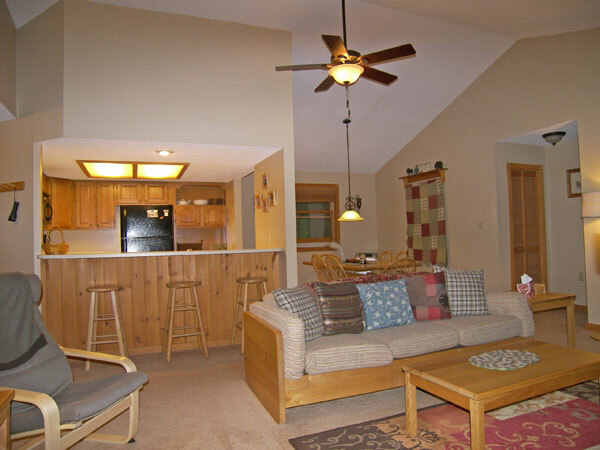 This cozy third floor Riverfront condominium is located on the Pemigewassett River close to Loon Mountain ski area and not far from many summer attractions. 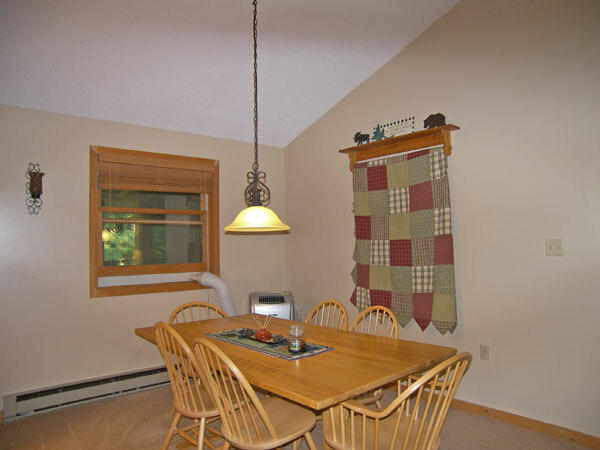 Enter to the spacious open-concept living, kitchen and dining area. 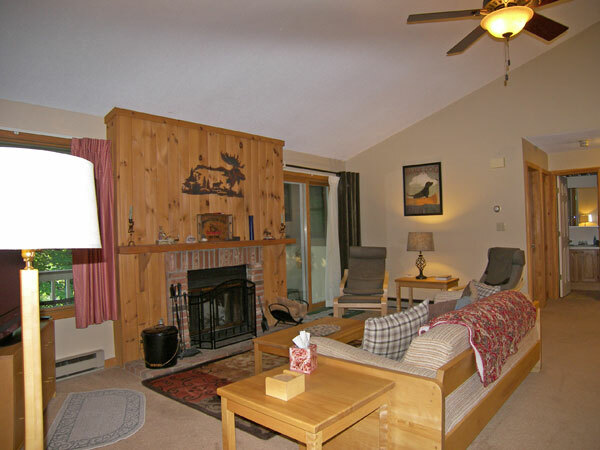 The living room offers a flat screen television with DVD, a wood burning fireplace and access to the back deck. 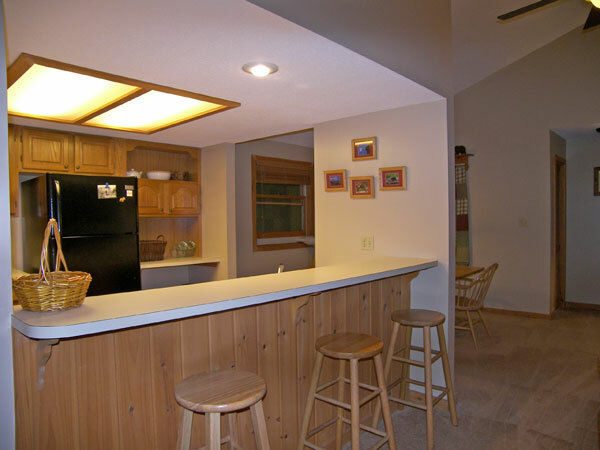 The dining area comfortably seats six with a table plenty big enough for a home cooked meal or game night. 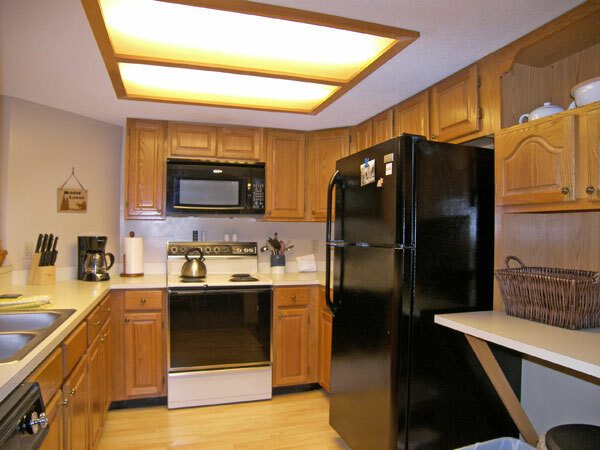 The full kitchen has a microwave, dishwasher and electric stove with self-clean oven. 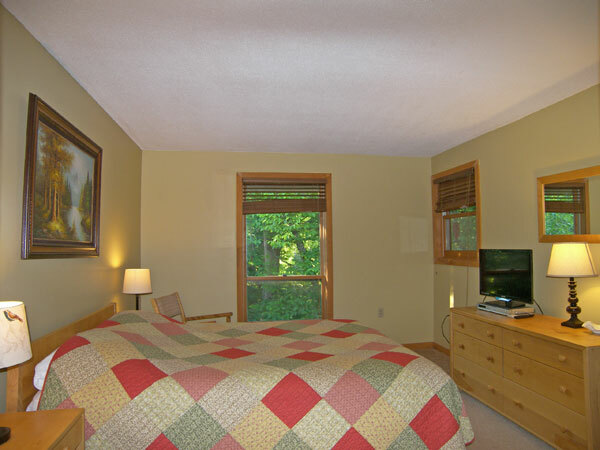 The master bedroom is on the far side of the living area and offers a queen size bed, television and an in-suite bathroom. 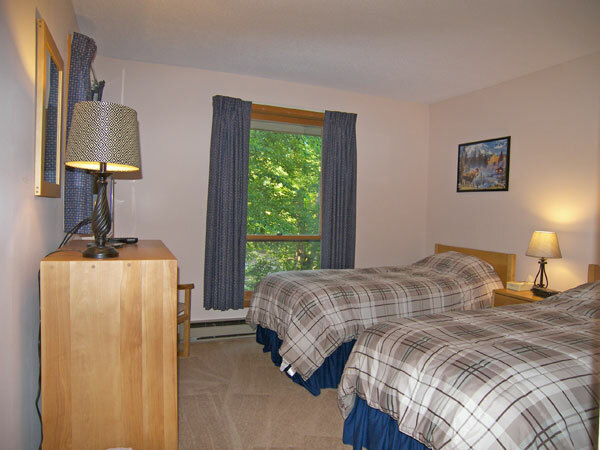 The second bedroom is located near the condo entry and has two twin beds and a small flat screen television with the second bathroom just outside the door.